When the Ping G30 fairway wood and hybrid landed in the office just before I headed out to the Dominican Republic, I knew this would be the perfect trip to put them through their paces. First impressions are always important, and I loved the look of the black and blue together, as well as the sleek design. I had obviously heard about the turbulators because they were the talk of the office, especially when you watch Bubba Watson’s video, but I was looking forward to seeing how they performed. The G30 has been designed with a hotter, more forgiving face, which not only helps to give you more distance but also more control. This has been achieved by using a Carpenter 475 steel, a material that is 44% stronger than 17-4 stainless steel. As for the Turbulators themselves, they are not only a great alignment aid, but as you will see from Ping’s wind tunnel tests on its G30 driver, also help with aerodynamics to increase club head speed to give you extra length. Ping have increased the height of its face on the fairway wood for increased forgiveness, and with a low and deep CG you get a fantastic, high penetrating ball flight. I tested the 14.5° 3-wood, which is adjustable and has five settings to choose from, but I was getting the ball flight I wanted from the standard setting so just kept it there. You can choose the standard loft like I did, or add or reduce loft settings which are standard, + 0.6°, + 1°, – 0.6° and – 1°. The blue A high-balance-point TFC 419F stiff shaft I used has a CG that’s closer to the grip end, which helps generate increased energy and momentum for faster ball speeds and greater distance. The G30 Hybrid uses the 17-4 stainless steel face which is H900 heat treatment processed giving it a thin but strong face. The thinking behind this is that as we use more hybrids into the green from both rough, long par 3s and the fairway, we need the ball to hit and hold the green, so we use them in a steeper swing plane, more akin to an iron than a fairway wood. I used the H3 hybrid, which is 19°, but they also come in H2-17°, H4-22°, H5-22° and H6-30°, each offering their own attributes in length and trajectory –I recommend you talk to your professional and find out what suits your game the best. The G30 hybrids use a performance-engineered internal weight pads, with heel-toe weighting, helping to eliminate twist at impact and adding forgiveness. 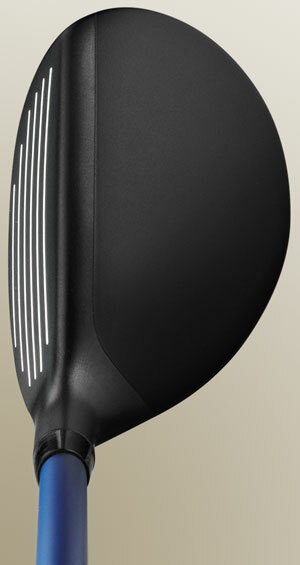 The weight in the sole – which dictates the CG – varies depending on which model you go for. With the CG further back in the lower lofts, moving forward as the loft increases helps to reduce spin. 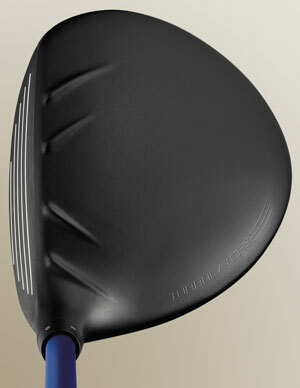 The hybrids use the TFC 419H shaft, which allows for a slightly heavier head weight. Both clubs coped well with the varying conditions that the six courses threw at them, and I enjoyed the high ball flights. As I have stated many times, a club that looks good to me always inspires confidence and the G30s are a great design, plus they look perfect behind the ball. But to me the feel of the club, especially at impact, and ball flight are the most important things, and Ping as always seem to be on the money with the G30. They felt good, I was in control, and the sound at impact was solid and just what I expected. The added forgiveness that all Ping clubs seem to offer both high and low handicapped players is a godsend, because no one ever hits the perfect shot all the time. If you are thinking of updating your fairway woods or looking into adding a couple of hybrids, I would make sure you speak to your professional to see what lofts will suit your game and put the G30s on your testing list.